You’ve heard of math savants and chess geniuses, but Barnaby Dixon might be a young prodigy when it comes to designing puppets. 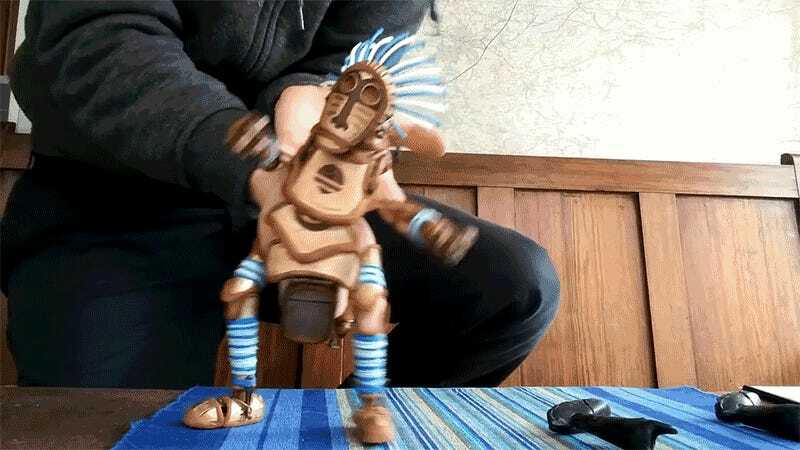 His latest creation is easily the most detailed and animated finger puppet you’ve ever seen, and Dixon spent two entire months refining and perfecting its design. The performance he puts it into the puppet is just as remarkable when you consider the awkward placement of his two hands. Were you to put this on a tiny stage, you’d have a hard time discerning the puppet from someone wearing a costume.